Our guest for Episode 138 is Eran Levy (https://www.linkedin.com/in/eran-levy/). 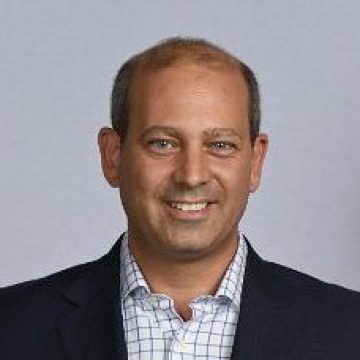 In this episode, Mitchell Levy (@HappyAbout), the AHA Guy at AHAthat, exchange insights with #ThoughtLeader Eran Levy (http://aha.pub/EranLevy), the Executive Director of Connected Futures (https://connectedfutures.cisco.com/bio/eran-levy/) and the head of Cisco’s C-Suite Thought Leadership group. This TLL episode focuses on the importance and impact of thought leadership and thought partnership in today’s world. In this episode, Mitchell and Eran discuss the difference between thought leadership and thought partnership and how both can have a huge impact in the way we do business. Thought partnership is about being acknowledged as someone who has the knowledge to solve a problem and being included in the initial thought process of a client. It’s important that one must shape their whole organization into a thought leader for it to gain this edge. Clients trust those who have powerful insights and essential knowledge, which is why research is crucial to becoming a thought partner. Thought leadership and thought partnership not only allow you to be seen and heard, they also allow you to drive a positive change to those around you. Here are a couple of thought-provoking AHA messages from the episode. See more in the “Aha Moments from Thought Leader Life” eBooks available in the social media-enabled eBook platform, Aha Amplifier: http://AHAthat.com.